Is it possible to open the links in DISQUS comment section in a separate browser tab or window? Currently when a user submit a post and if it has some links, the comment is shown in the comment listing section. On clicking the link it opens in same window. I put a ticket to DISQUS asking for an option to add attributes like " target='blank' " and "rel='nofollow' " to the anchor tags of links in the comment section. here is the reply I got from DISQUS. While we don’t currently offer the functionality to augment links inline, we’ve forwarded this as a suggestion to our team for consideration. 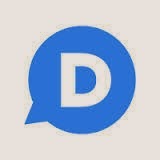 Please note that all links in Disqus are nofollow by default. So as per this mail, currently they add " rel='nofollow' " attribute to the anchor tag and in future they may provide an option to set th links open in another tab or window. How to handle links and email in DISQUS comment?